Heavy metal veteran Ronnie James Dio played his own game of Dungeons & Dragons at the Pacific Coliseum last Saturday (December 28)–and 5,000 or so of his young fans came out winners. The show started when curtains surrounding the stage were pulled to reveal a 60-by-40-foot replica of an ancient, stone castle–complete with turrets, outer stairways, and a wee draw-bridge. Ronnie emerged from the center of the structure belting out “King of Rock and Roll”, the opening track of his latest album, Sacred Heart. The dragon–which eventually breathed fire and snorted sparks–was the start of a barrage of effects, including a 6-foot “crystal ball” which held holographic-type images, a very effective kryptonite and argon laser show, and hair-raising fireworks blasts that made me think of D.O.A. Not pretty, but pretty loud. Dio’s medieval fantasy show was reminiscent of the one Ozzy Osbourne brought through here in ’84, but–apart from the fact that both Ronnie and Ozzy were once singers in Black Sabbath–that’s where the any similarity between the two ends. Whereas Ozzy’s become a chubby joke in concert, the diminutive Dio has kept his powerful pipes in grand shape. He proved it Saturday, with the help of Appice (also ex-Black Sabbath), bassist Jimmy Bain (ex-Wild Horses and Rainbow), keyboardist Claude Schnell (ex-Rough Cutt), and 23-year-old guitar hero Vivian Campbell. 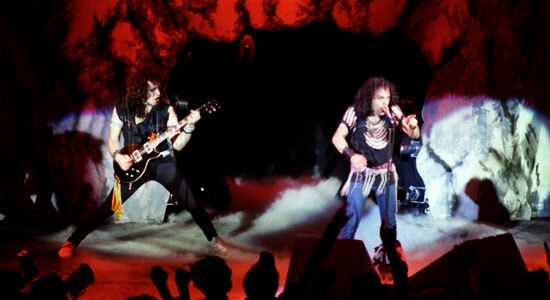 As well as Dio faves like “Hungry for Heaven” (from the film Vision Quest) and the new “Rock and Roll Children”, the band played “Heaven and Hell”, the title track from the first of three LP’s Dio made with Sabbath. They also did a couple of tunes from Dio’s early days with Ritchie Blackmore, “Long Live Rock and Roll” (I’ll second that) and the mighty “Man On the Silver Mountain”. 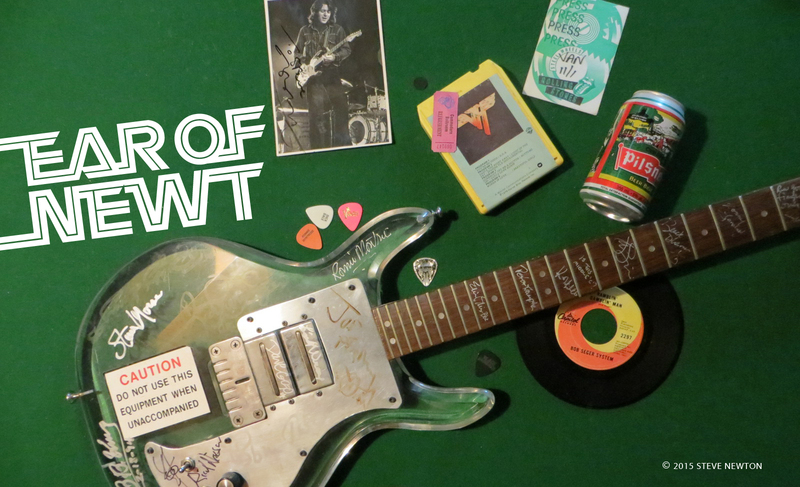 Opening the show for Dio was Swedish guitar ace Yngwie Malmsteen, the 22-year-old whiz kid who various rock writers (me included) have been touting as The Next Big Thing. But Yngwie’s performance Saturday was actually more of a letdown than anything else. He did show lightning speed and all the tricks–playing with his teeth, whipping the guitar around his back–but too much of what he was doing sounded the same. Repetitious and boring. And even worse was Yngwie’s “I’m God’s gift to guitar” attitude. He didn’t say one word to his audience–not even a hello or goodbye. He’d just wait behind his wall of Marshalls till the spotlight was ready for him again. Listen to the interview I did with Dio before the show.